Something Delightful : A Fantastic Day! 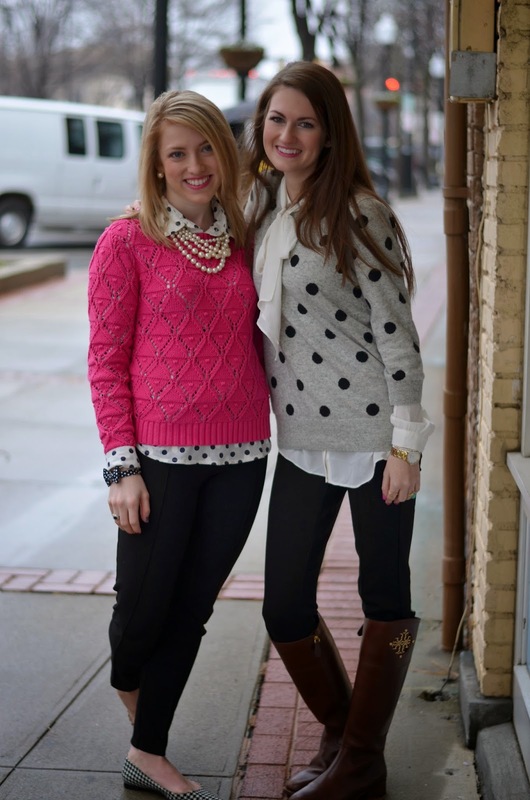 I had so much fun meeting up with Caitlin, who blogs over at Southern Curls & Pearls. She is such a sweet person who has a contagious smile and is a pleasure to be around. I love her blog as her ideas and style are both so fun. She is just an adorable person, and I'm SO happy that we had the opportunity to meet up. Thanks to our sweet mamas, we were able to get a few pictures (despite the rainy weather). What a fun time we had! 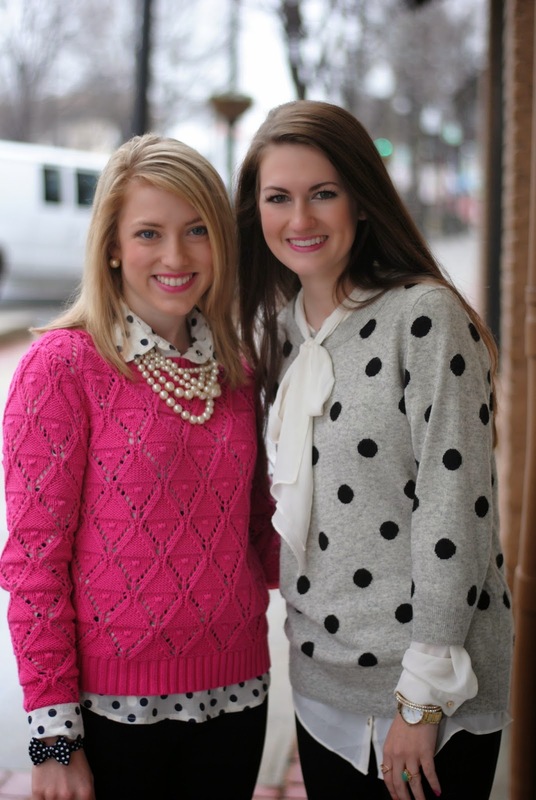 Blogging has blessed me in so many ways, and one of them is the friendships I have been able to make. One day, I'd like to meet you but I live in Switzerland so... Maybe one day I'll come! Love your sweater! So chic!! I love seeing my blogging friends meet up! What a fun meet-up!! 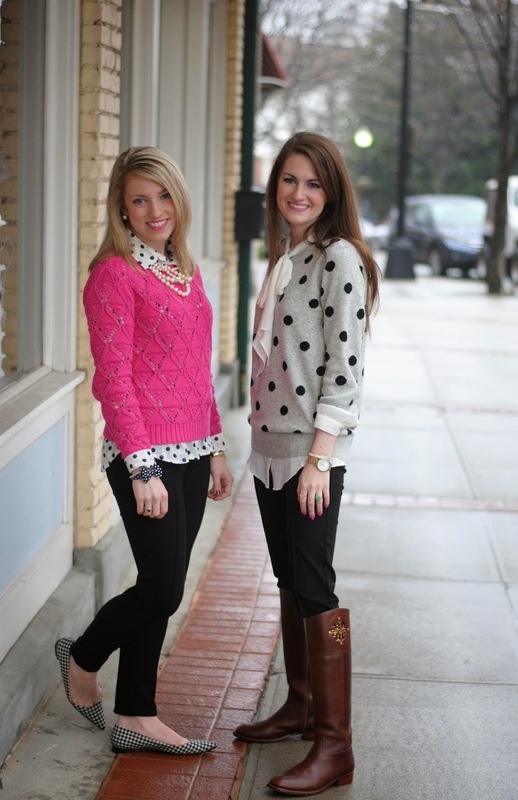 Love both of your outfits! 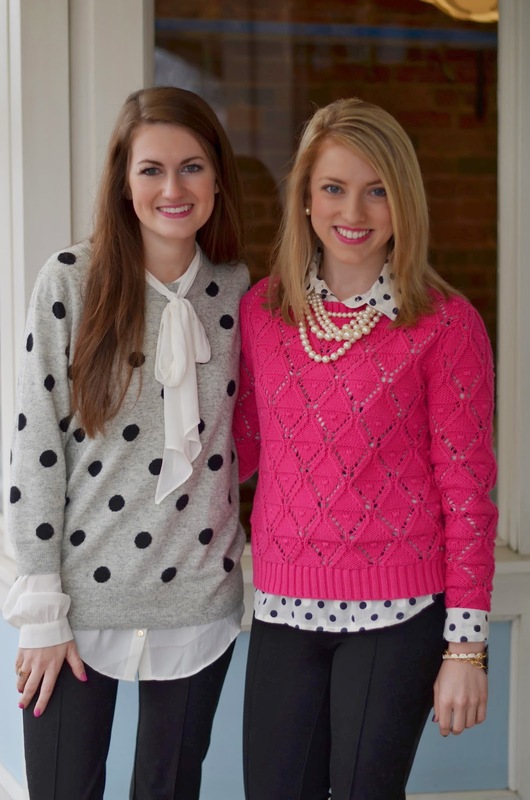 :-) I got to meet Caitlin during her event at Lilly Pulitzer SouthPark last fall and she is so sweet! Beautiful photos! It looks like you had a lovely time. It's so great seeing bloggers meeting up. 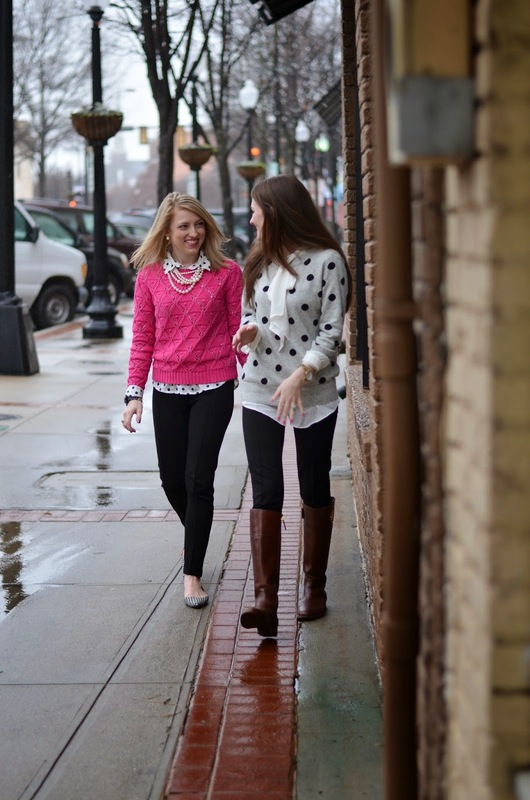 Blog meet ups are so fun and a great way to make new friends! You are both so beautiful! :) I love your outfits & the matching polka dots! I had SUCH a wonderful day with you and I'm so so happy we had the chance to meet!!! Cheers to many fun blogger dates in the future! Glad you two had such a great time! I'm such a big fan of both of you. 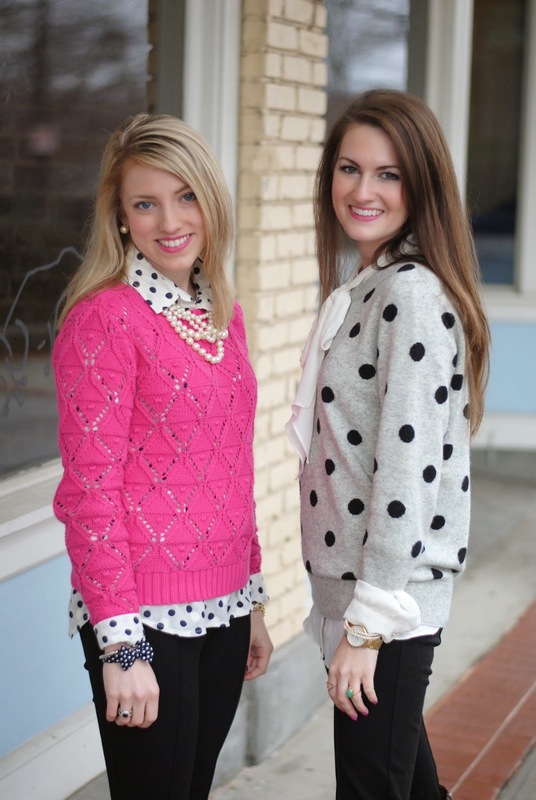 Love how you're both wearing polka dots! Black pants anchor these looks so well.